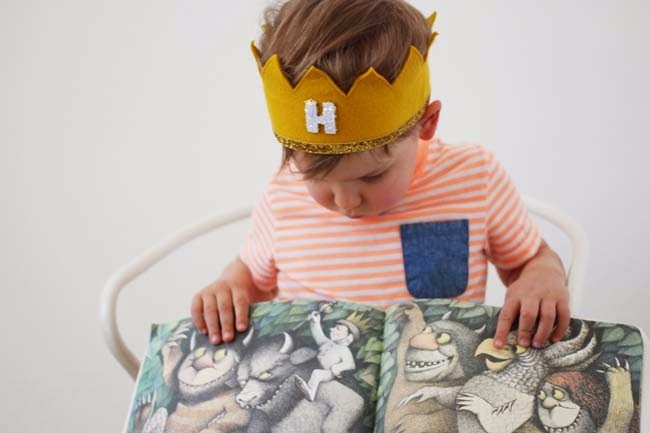 I did a post for Little Hip Squeaks awhile back but never shared the photos here- how cute is this crown from Little Blue Olive? I'll show off Charlie's little crown in a week or so in his room tour (finally sharing it!) but this is definitely Henry's favorite "dress up" item. He keeps it right on his dresser and so many afternoons I will find him wearing it, imagining he's the King of some far off land, or reading books on his own. Love it. Annnd, happy weekend! I'm so excited about these next couple of days. I feel like we've been going non-stop lately, and although this weekend isn't slowing down either, sometimes it feels good to have big, full days. And I hope whatever you find yourself doing this weekend, some part of it involves good food and the people you love. First, I wanted to share an important site- my friend's sister is battling colorectal cancer and her Alma Mater, the University of San Francisco has set up this GoFundMe page to help. If you have a moment, please check it out. Check out this Tumblr account. And here's some more info on it too. I love this canvas tote! Photographer captures the beauty of adoption. Etsy love: this tea towel, this bib, and this blanket. Nobody's graduating in four years anymore. One of my dear friends just opened a new shop- check it out. I especially like this print. On on roadtrip wishlist: Yosemite. Just look at these GORGEOUS photos of my sweet friend Christina and her husband Robert. This buffalo chicken recipe looks so good. Falling in love with Jenny Lewis, a primer. I really want to try this lipstick color! No, I actually don't have as many hours in the day as Beyonce. Wishlist: this dress, ALL of these dresses, and to be here. Happy birthday, Henry and Marie! So, so cute. What did your childhood sticker collection look like? 18 things you've been doing wrong your whole life. Whatcha know about the Manic Pixie Dream Girl? I love this post: All Boxed Up. And two more great posts- A Simple, Intentional Life and To Be Sad For What Isn't. And finally, some favorites from the Nordstrom Anniversary sale via my rewardStyle affiliate account- click on the image to jump over to the item- happy shopping! Thanks for posting the july desktop calender! I loved the may one but I didn't know she made one for every month- what a nice surprise! I love that fun desktop background! I'm going to be reading all of these links now! Great post, great idea to put something like this together! thanks for linking to the simple, intentional life-post, absolutely loved it. Thank you for posting about my dresses!